An exciting match needs a big crowd! 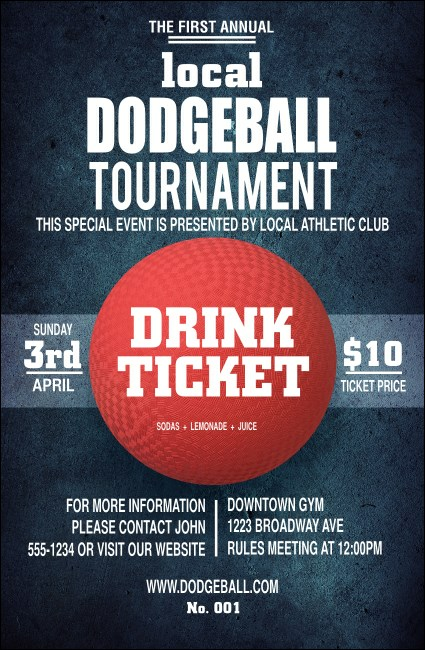 Cater to the fans and the service staff when you hand out the Dodgeball Drink Ticket at your tournament. A steely grey background holds all your event details, with a big red ball coming at you in the middle. Pair with matching flyers and invitations in an Event Kit! Approximate dimensions 2.71" x 4.14"